Welcome to the Washington County Health Department website. Our vision is to be the healthiest county in Ohio. As you browse our site you will find important information such as current events and projects. Departments have provided some of their forms and permits for you to print out at home. Meet some of our staff and learn about your county at work. 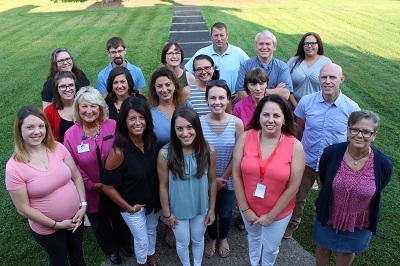 The Washington County Health Department's mission is to assure a healthful environment, prevent disease, and prolong life and well-being for the residents of Washington County. Accountability- We charge employees with fulfilling the duties of their respective jobs and the assurances they make to residents. Collaboration- We recognize that our impact on residents is greater through partnerships and collaboration. Health- We believe our primary mission is to help residents achieve optimal health. Innovation- We continually seek new ways to deliver services and evidence-based programs to offer our clients. Equity- We treat all people equally and with respect and dignity. Vitality- We believe that vitality is contagious, and our employees will be enthusiastic and encouraging. Empowerment- We provide every person with the tools they need to live healthfully and successfully. Respect- We respect the culture, values, and ideas of the people that we serve.